The multiyear restoration is underway at the Kansas State Capitol, Topeka, Kansas, in 2004. This view from the southwest shows the Pioneer Women memorial in the foreground, Ad Astra atop the dome, and the green copper roof and dome. 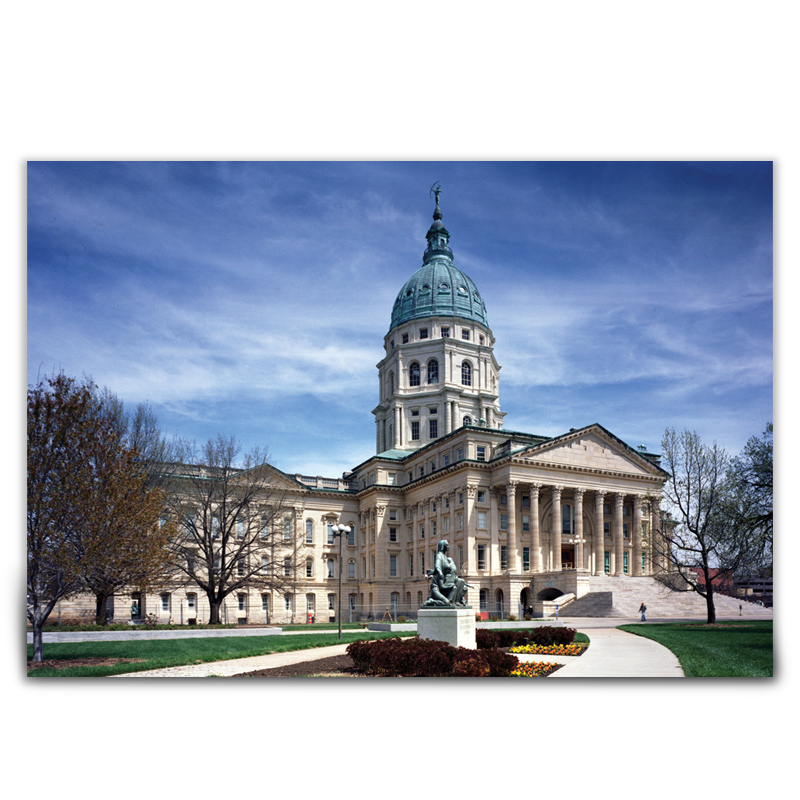 Courtesy Treanor Architects, the print was produced for the Kansas Historical Foundation.